Shooting photos and videos is about more than capturing memories. A great camera brings your creative vision to life with striking clarity. 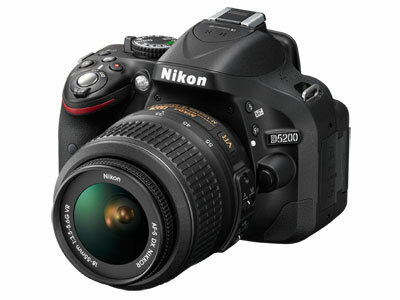 The Nikon D5200 is exactly that type of camera-an exceptional HD-SLR designed to draw exciting new perspectives out of everyone who shoots it. Optimized for creativity, streamlined for flexibility, it'll awaken your passion and inspire some of the most spectacular photos and videos you've ever captured.